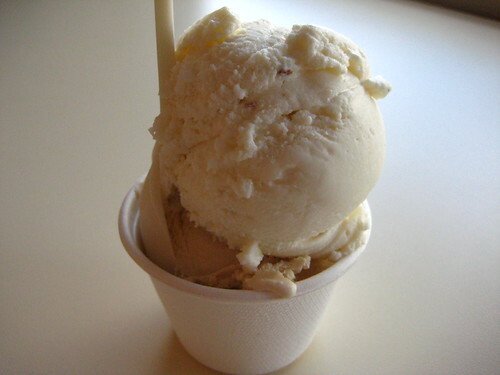 Blondie and Brownie: Travels with Blondie: The Last SF Post This Year, Promise. Travels with Blondie: The Last SF Post This Year, Promise. 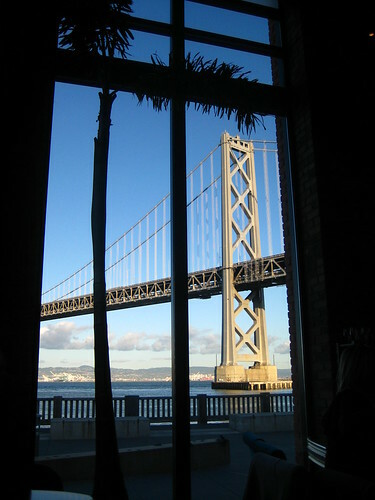 At Waterbar located beneath the Bay Bridge, they have a happy hour special that involves $1 oyster and $5 glasses of wine. 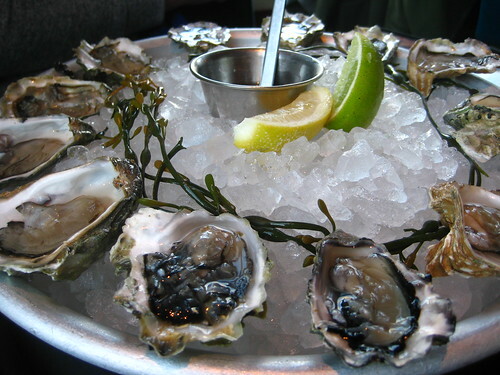 Not a raw oyster fan myself, I accompanied my cousin there where she happily slurped back a dozen in no time. At Shanghai House out in Outer Richmond, I got to try some perfect shanghai dumplings, along with fried flounder and fried prawns with walnuts. Covered in a sweet, sticky sauce, and probably terrible for you, they were ultimately completely delicious. I've never seen this on a menu, but I will be looking around New York for such a thing. Of course I stopped by my favorite bakery, Tartine, and got my usual morning bun and bread pudding. 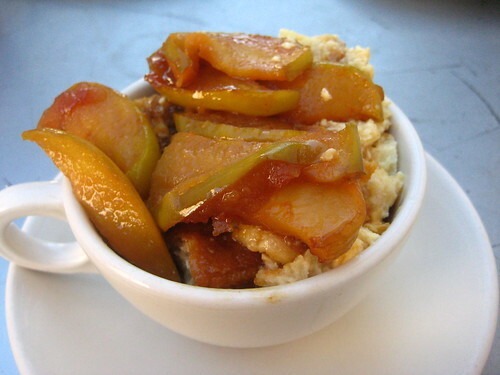 The seasonal fruit at the time was Sierra Beauty apples, a variety mostly grown on the West Coast. The baked version tasted more like an tart apricot than an apple to us. 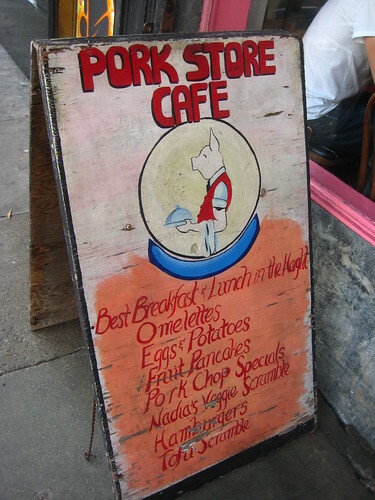 I'd like to give a shout-out to the original Pork Store Cafe in The Haight. Every time I get breakfast here, the staff is lovely and the food is outstanding, healthy or not. It's an institution and for good reason. 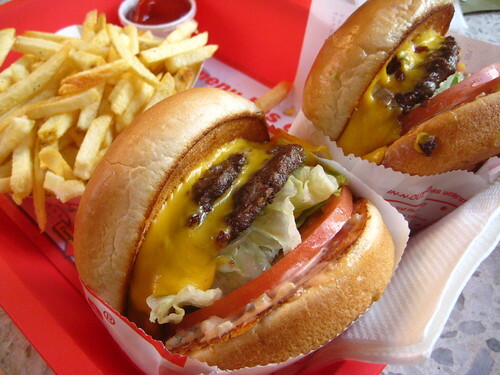 Yes, this is my gratuitous In-N-Out shot. I don't think it's possible for me to be within miles of one and NOT get a cheeseburger animal style and a chocolate shake. Mind you I ate that burger after finally visiting Humphry Slocombe and getting their Butterbeer AND Secret Breakfast ice cream. Secret Breakfast consists of cornflakes and bourbon, and is quite the boozy treat. The two flavors went well together and had I not been eating all afternoon, I would have also tried their duck fat pecan pies. 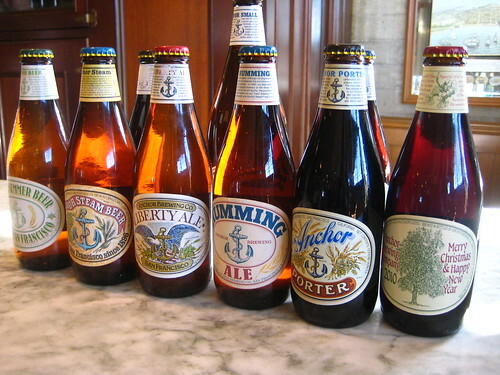 Lastly, I spent part of my last moments there drinking at the wonderful Anchor Brewery. Yes, I was able to get a tour-reservations are now six months in advance-and learned a bit about the differences in their brewing process. But most importantly, I got to sample their current offerings including the seasonal Holiday that had just come out. I think it's nicely spiced and pretty delicious, and have already been searching for it here. 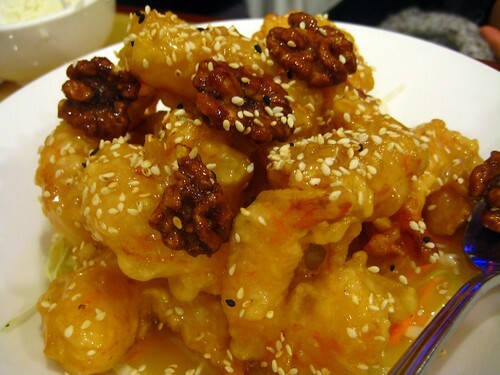 The shrimp with walnut dish is a staple of Chinese banquets... I can direct you to a few Cantonese restaurants with fairly good versions. I think it's called shrimp with honey walnut... or something... and sometimes comes tossed in a mayo sauce, sometimes the mayo is on the side. Direct away! I'm wondering if it's one of those dishes my eyes skip.